My areas of specialization are Voice, Accordion, Music Education, Choral and Theatre Arts. Since my Bachelor of Music degree, I have studied at the Banff School of Fine Arts, Victoria Royal Conservatory, Courtenay Youth Music Camp, Toronto University Summer Music Program (Accordion), Shawnigan School of Music, Edmonds Jazz Camp and achieved my ARCT. I am a Manitoba Registered Music Teacher, am certified to teach in the Manitoba public school system, and am a member in good standing with the BC College of Teachers. I have been a member of the Vancouver Opera Chorus and have had lead roles in opera, operetta, music theatre, and in plays. I have performed in oratorios, including: B minor Mass, The Messiah (soloist, Alto and Soprano), St. Matthew Passion. As a conductor, I have directed the Centennial Singers and choirs on the Sunshine Coast and in the East Kootenays. I have taught in Elementary Schools for over 25 years, and for the University of Victoria Music Education department at the College of the Rockies. Kimberley Community Choir in Kimberley, BC. I continue to perform on the concert stage, teaching and until recently lived in Kimberley, British Columbia with my husband and pets where I worked as the Platzl Accordion Player each summer. 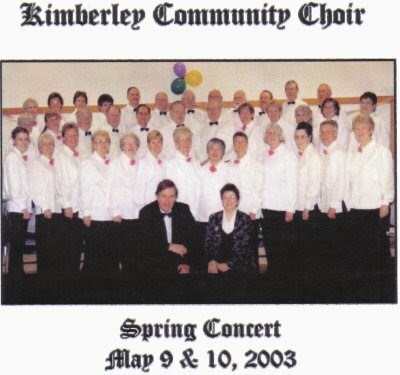 I conducted the Kimberley Community Choir and directed the Mount Zion Lutheran Choir where I served as organist. With over 50 performances in the past 30 years, my repertoire has included Elizir d’amore, Abracadabra, Pirates of Penzance, My Fair Lady, A Little Night Music, Sound of Music, Desert Song, Crimes of the Heart, and Table Manners, to name a few. I now reside in the Interlake Region of Manitoba with my family where I continue to teach and perform.